Ecomdash multichannel inventory, order, listing and shipping software for ecommerce small businesses has just gained critical support for eBay international sites. Among others, ecomdash is compatible with eBay UK and Canada, two subsidiaries of the eBay.com marketplace. Now, ecomdash customers can easily sell to a new, global audience while maintaining advanced control of operations. Managing operations for eBay international sites will work the same as other ecomdash marketplace integrations. Sellers will be able to use ecomdash to auto-sync product quantities across sales channels, receive order information as a sale is made and quickly create labels, packing slips and pick lists for shipping. Within ecomdash, both eBay international and continental sellers can easily create listings and gain insight into which of their listings are live, queued or sold. Ecomdash offers eBay international sellers an opportunity to consolidate sales, streamline operations and gain visibility into the health of their business. Ecomdash also recently offered integrations with Amazon UK, Germany, Spain, France, India, Canada and Italy. Ecomdash is a web software application enabling ecommerce sellers to run their business from anywhere at any time in a fraction of the time they spend today. 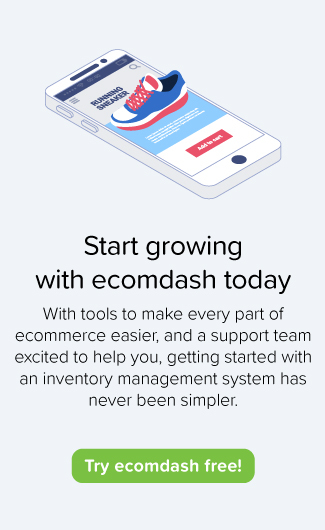 Ecomdash automates and integrates omni-channel retailers’ inventory, sales orders, product listings and shipping processes across marketplaces like Amazon, Sears and Etsy as well as ecommerce-ready website platforms like Bigcommerce, Shopify and Magento. Ecomdash gives merchants the ability to save time, grow sales, and increase customer satisfaction. For more information, visit ecomdash.com.